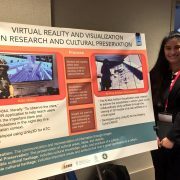 At this year’s National Collegiate Honors Council conference in Atlanta, Georgia, Honors student Kari Noe won first place in the Business, Engineering and Computer Sciences student poster competition for her poster titled “Virtual Reality and Visualization in Research and Cultural Preservation.” The NCHC conference invites students and faculty in Honors programs and colleges across the nation to share their research. Noe is the first student from the University of Hawai‘i at Mānoa to present at the NCHC in recent years. A double major in Information and Computer Sciences and Animation, she has undertaken applied work on data visualization and its role in Hawaiian cultural preservation. 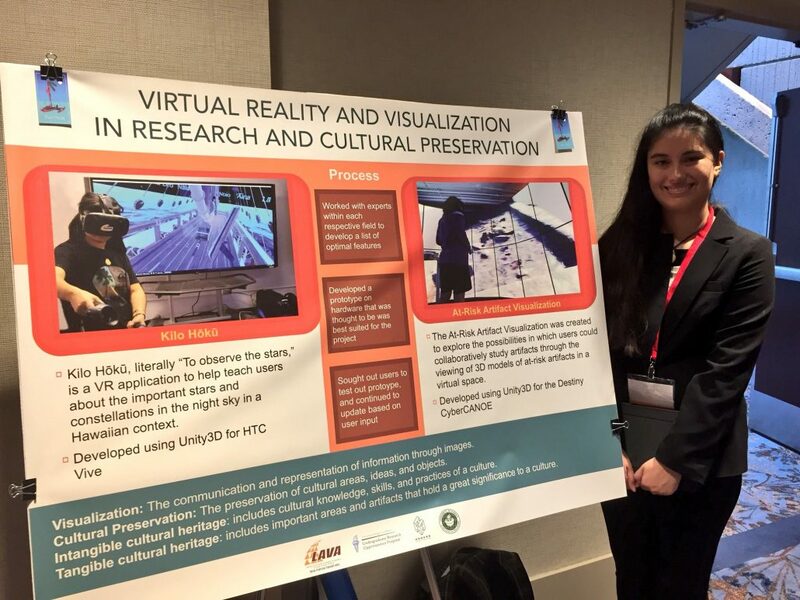 Her poster covered two projects—the first involving the use of virtual reality in partnership with the Hōkūle‘a worldwide voyage, and the second on its use in conjunction with recording and preserving archaeological artifacts. Noe, who is also one of the first Honors students to put together an Honors Portfolio as her Senior Honors Project, is mentored by ICS professor Jason Leigh. Her trip was made possible with funding from the Undergraduate Research Program and the Laboratory for Advanced Visualization and Applications.